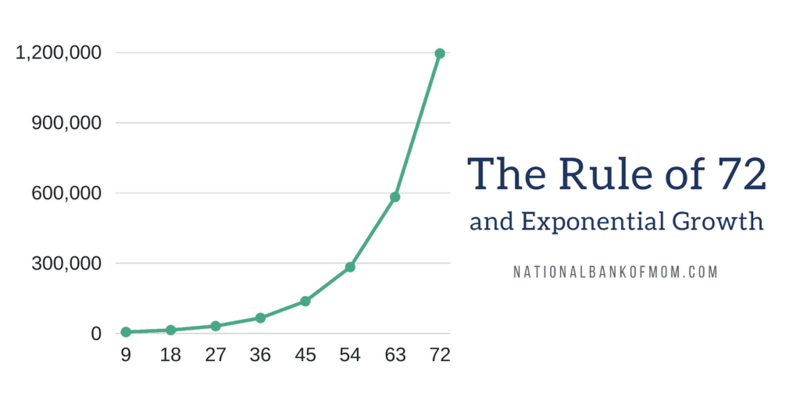 The Rule of 72 is a quick way to determine how many years it will take for money to double with a given interest rate. Divide the interest rate into 72 and get the approximate number of years. For example, at 8% interest, money will take about 9 years to double. So let’s say that you have $100. In 9 years, you’ll have about $200. Time can do amazing things. Ever heard of the Grand Canyon? Some say that it’s between 5 and 6 million years old and could have started forming up to 17 million years ago. Ongoing erosion from the Colorado River means that it’s still forming today. The Canyon is 18 miles wide, 277 miles long and 1 mile deep. Talk about the power of time. Let’s revisit the $100. Remember that in 9 years, you’ll have $200. In 18 years, $400. 27 years, $800. 36 years, $1,600. So from $100 to over $31,000 — without doing a thing! Just letting time do the work. There’s something else, though, that can help move your savings along. Let’s say you added a MODEST $25 each month to the $100 at 8% for 9 years. At the end, you’ll have WAY more than $200. You’ll have over $4,100! So, what if you put them together — time and additional deposits? Here’s where the real magic happens. This is amazing stuff. Remember $100 at 8% gives you $200 at the end of 9 years and over $31,000 at the end of 72 years. And $100 at 8% with an additional deposit of $25 per month gives you over $4,100 at the end of 9 years. Let’s do both. Let’s keep the time AND the additional (small) monthly deposit — $100 at 8% for 72 years with an additional deposit of $25 per month. At the end, you’d have over $1,194,000. Are you kidding me? And people say they don’t like math. Those people are crazy. So if it’s that easy, why doesn’t everyone do it? Why doesn’t everyone take these simple steps to build wealth? I have a few guesses. I need the money for something else. Some people see that nest egg building up and dip into it. They want a new car, or to buy a house, or to get married or do something else. They “need” the money. There isn’t anything wrong with wanting these things (notice I said wanting). However, I think of this as retirement money — money to use to take care of myself and my needs when I can no longer work to support myself (or no longer want to). If I want to buy a car or house or do something else, I should have a separate savings fund earmarked appropriately. People can be impatient, especially today. Instant gratification abounds. They’re going along, saving each month, but it doesn’t seem like they’re making any progress. They’ve been working and saving forever (or what seems like it), but they start to lose faith. Maybe they could use that money for something else. Life happens, right? Check the graph on the featured image on this post. See how it doesn’t look like anything is happening for a really long time? And then at the end — woosh! Up the amount goes. Really — is $25/month going to break you? Is $25/month keeping you from living the life you really want to right now? Or that $100 start? Let’s say that it does, and it really is too much. What CAN you manage? Can you start with $50? Can you do $10/month? Save as much as you can. I didn’t start early enough, so I might as well not bother. Maybe people think that since they’re not starting “early enough” that it’s not worth it to even try. Remember, the best time to plant a tree was 20 years ago. The second best time is now. Better late than never. If you start today, you’re ahead of the guy who didn’t start today. I’m not going to live that long. You know how long you’re going to live? Can you tell me what tomorrow’s lottery numbers are going to be, too? I’ll just rely on my kids to support me when I’m older. Don’t be a dumbass. You take care of you, and your kids will thank you for it later. Plus, you’ll be a good role model for them. You want the best for them, right? Teaching them to master their money is one of the best things you can do for them. I don’t have a good reason. Some people just don’t do it. Jim Rohn said, “What is easy to do is easy not to do.” So they just don’t do anything. Remember, this is just an example to illustrate the effect of saving small amounts over a long period of time. The example above happened in a perfect world. A world with no taxes and a guaranteed 8% return over a long period of time. I realize that your situation may be different. You may not have started as early, saved the same amount and you will probably have to pay taxes. But that doesn’t mean the process doesn’t work. Save early, save often. Do it consistently. Don’t touch the money. Watch it grow. Trust the process. If you’ve been reading for awhile, you know that my goal is to get J to save at least 10% of everything he gets. I’m trying to create a habit in him. I want to make saving something he does automatically, without even thinking. I’m paying him interest monthly (a full year and counting) to show him how money can grow over time. The money he earns makes more money. Plus, he’s young. If he keeps saving, he will be in a good position later. Helpfulcalculators.com has a great (and dare I say helpful) compound interest calculator. Business Insider has a good article on The Amazing Power of Compound Interest. And, here’s a quick spreadsheet with the formulas I used for the example. Yes! Thanks for reading, Jim! I hear those mistakes all the time. It is one of those things that gets so ingrained into someone that you aren’t going to be able to change their mind. they have to find their own path out of the mess they create. You’re right – people have to find their own path. You never know what might help someone “wake up” to a different way of thinking! 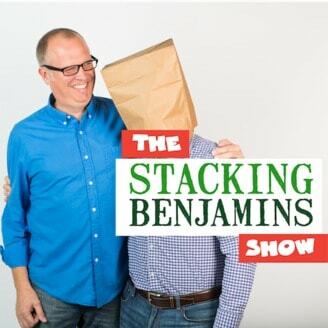 Boom – love the post – all the downsides are true and are common reasons why people are not saving a portion of their income. That’s the cool part of the article – where you show the flaws in the excuses people make. Anyone can save $125/month as you demonstrated, that’s not hard, but for some they will need to make some sacrifices along the way. Thanks for the easy to read breakdown of the Rule! Love the simplicity. Thanks Bert! I wonder if for some people, it wouldn’t even really be a sacrifice in the end. Buying less stuff or spending less money can often be more freeing. But it takes a shift in mindset to get there. Agree completely! People would be shocked if they just gave it a shot. Great article! It’s motivating me to save more. 😉 One thing to add for some people who have difficulty saving would be to make it automatic! At the beginning of the month, set up automatic withdrawals or direct deposits from work so you don’t even see the money. Thanks! For sure — making it automatic is a great way to save! And using direct deposit straight to savings is even better. I like to put a fixed amount into checking and then “the rest” goes to savings. That way when I get a raise, I don’t have to redo the forms — I save more and avoid lifestyle inflation. Thanks for your comment, Andy!